Our elegant Executive rooms are comfortably spacious with a large seating area, working desk and luxurious marble bathroom. 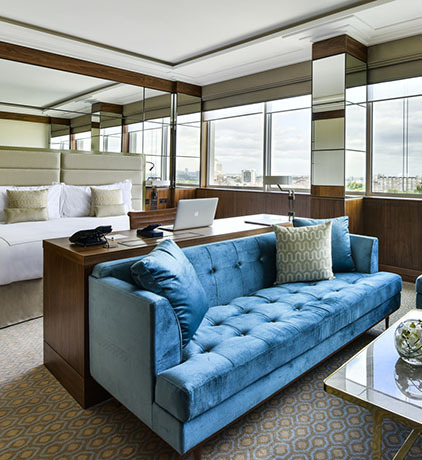 Located on the upper four floors, the panoramic views of Hyde Park and the famous London Skyline are spectacular. These larger rooms are ideal for longer stays or families with young children. 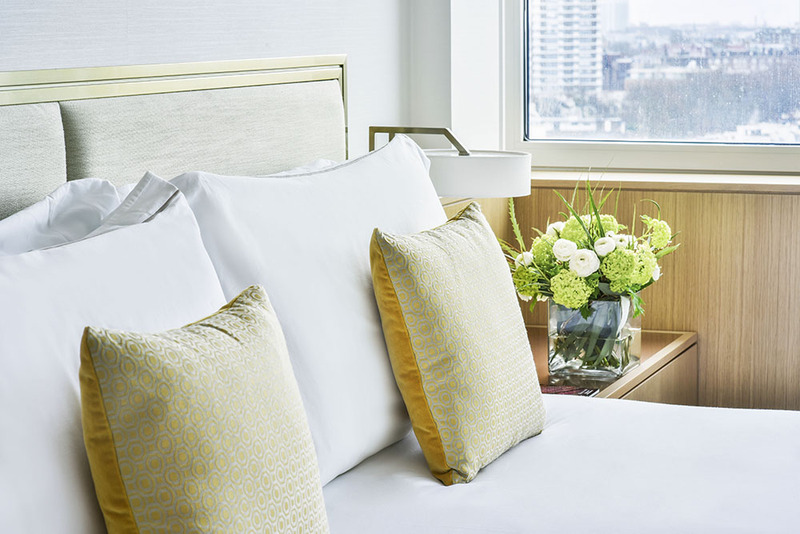 Our generous accessible rooms combine maximum functionality with sophisticated design. Featuring a gorgeous sofa right in front of a large Smart TV. Who’s up for a romantic movie? We bet the photos you will shoot from these top floors will be amongst the best in your holiday. Exactly what it says on the tin. Designed with the needs of today’s businessmen in mind. Even if the sofa disappears under baby clothes, the large bed remains free and uncluttered. Victory! 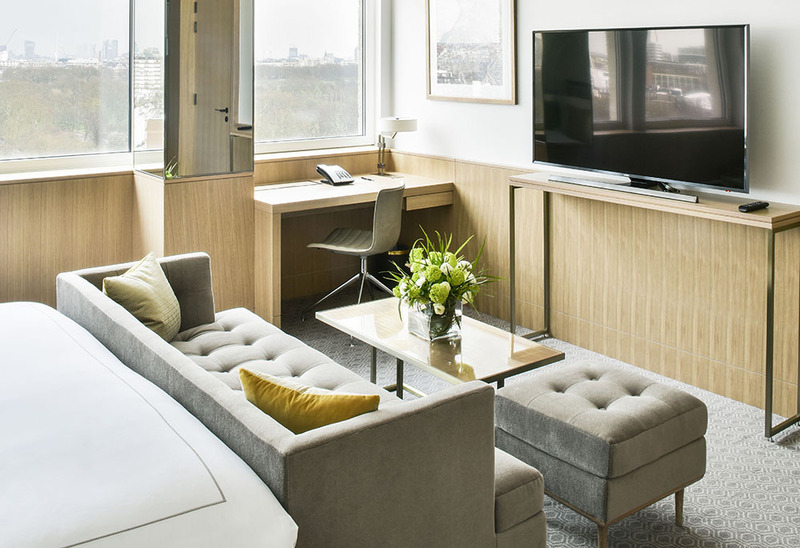 Our Studio Suites provide generous living spaces, a luxurious bedroom, with large seating area and sumptuous sofa, and of course a place to work with spectacular views of Hyde Park and the famous London skyline. "Stayed for one day as part of a prize in UK Bride magazine. A wonderful hotel in the heart of the city. Staff were polite and friendly, we were served Champagne Afternoon Tea by Rafiel who was charming and funny. 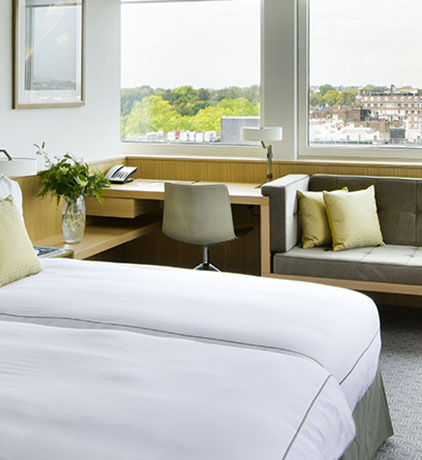 We had a fantastic stay and our executive room was superb with an amazing city view."